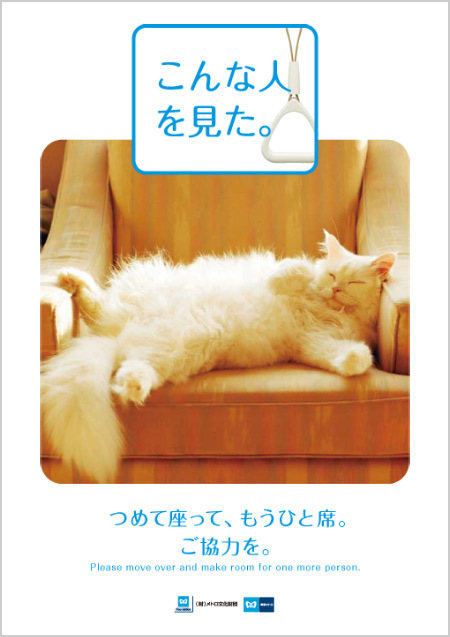 "Please move over and make room for one more person"
Tokyo Metro has created a series of animal-themed subway courtesy posters (Etti-cat, anyone? ), to remind passengers of some basic train riding etiquette. My favorites, of course, are the two cat related messages, featuring a fluffy kitty taking up the whole seat, and a vain kitten, whose public display of beautification, we are warned, "may be bothersome to others." 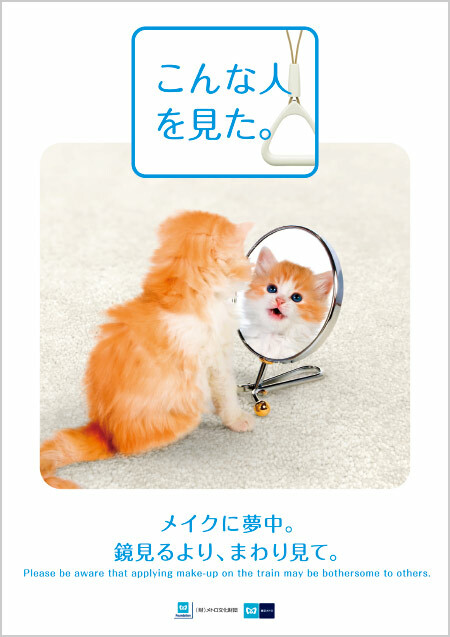 "Please be aware that applying make-up on the train may be bothersome to others"
The Tokyo subway etiquette posters have always been famous for their creativity, but this looks like one of the best series yet!